The most widespread form of interspecies bonding occurs between humans and dogs. These intelligent, social, emotional and playful creatures have learned to communicate and interact with humans in a way no other species can. The genius of dogs is that they use humans to get what they want. At one point in wolf evolution, a group of wolves decided to take advantage of humans. Dogs domesticated themselves through a natural process and have become a part of the human family. No other species can read our gestures as well as dogs can. It allows them to be incredible social partners with humans. Their ability to interpret our gestures also helps them complete tasks they can’t complete on their own. The largest breed of dog is the Irish Wolfhound. The St. Bernard is the heaviest. 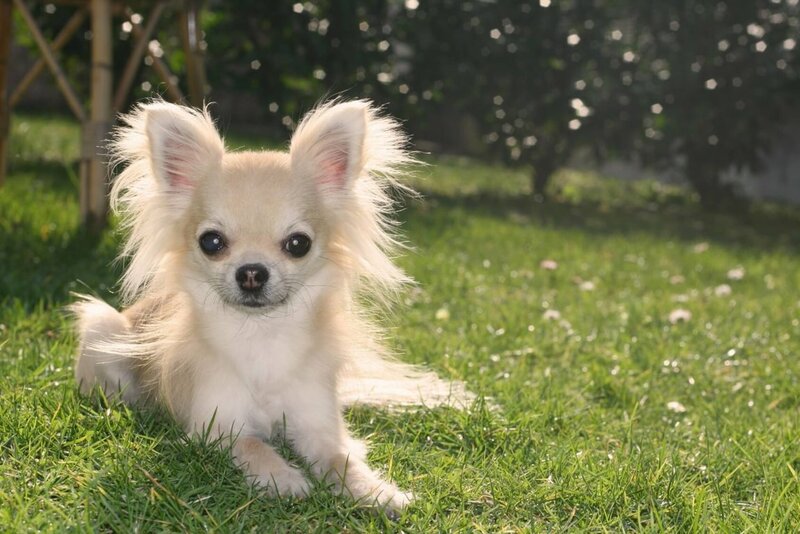 The world’s smallest dog breed is the Chihuahua. Dogs experience all the same emotions humans do, especially love. While dogs are better at living in the moment than humans, it's a myth that dogs have no sense of time. Dogs have their own complex language that includes vocal sounds, body postures, facial expressions and scent. Feral dogs have figured out how to use subways to travel to the best food sources. Dogs chase their tails for a variety of reasons: curiosity, exercise, play, anxiety, predatory instinct or fleas. Different smells in a dog’s urine tells other canines whether the dog is female or male, old or young, sick or healthy, happy or angry. Male dogs raise their legs while urinating to aim higher to leave a message that they are tall and intimidating. Puppies have 28 teeth, while adult dogs have 42. Dogs and humans have the same type of slow wave sleep (SWS) and rapid eye movement (REM) when sleeping. Twitching and paw movements are signs that a dog is dreaming. Dogs can be trained to detect epileptic seizures and diseases. Dogs’ eyes contain a special membrane that allows them to see in the dark. Dogs can detect when storms are coming. A dog’s normal temperature is between 101 and 102.5 degrees Fahrenheit. Dogs only sweat through the pads of their feet. Dog nose prints are as unique as human finger prints and can accurately identify them. Dogs have three eyelids: an upper lid, a lower lid and a third lid which keeps the eyes moist and protected. A dogs entire body, including the paws, is covered with touch-sensitive nerve endings. Dog noses secrete a thin layer of mucous that helps them absorb scent. They lick their noses to sample the scent through their mouth. Petting dogs is proven to lower human blood pressure. A dog’s sense of smell is 10,000 – 100,000 times more acute than humans. When dogs kick after defecating, they are using scent glands on their paws to further mark their territory. Dogs can detect cancer too small to be detected by a doctor, and can detect lung cancer by sniffing a human's breath. The keeping of dogs as companions has a long history. Dogs began from a single domestication thousands of years ago. They are not a descendant of the Gray wolf as previously believed. They were originally domesticated from a now extinct wolf. Dogs were the first domesticated animals and have been widely kept as working, hunting and companion animals. Domestic dogs have been selectively bred for millennia for various behaviors, capabilities and attributes. There are currently up to one billion dogs around the world. Domestic dogs inherited complex behaviors from their wolf ancestors which were pack hunters with complex body language. These sophisticated forms of social cognition and communication may account for their trainability, playfulness and ability to fit into human households and social situations. Dogs still share some behaviors with their wild relatives. They defend their territories and mark them by urinating, serving notice to other animals that it is their territory. Many dogs also bury bones or toys for future use, just as wolves bury a kill to secure the meat for later. Modern dog breeds show more variation in size, appearance and behavior than any other domestic animal. They are highly variable in height and weight. The smallest known adult dog was a Yorkshire Terrier that weighed only 4 oz. The largest known dog was an English Mastiff which weighed 343 lb. The tallest dog was a Great Dane that stood 42 inches at the shoulder. Most dog breeds have good vision. Dogs do see in color, but not the same way that humans do. A dog's vision is similar to people with red/green color blindness, meaning they can see bluish and greenish shades but not reddish ones. Dogs can detect sounds far better than humans, hearing sounds at four times the distance. They have ear mobility, allowing them to rapidly pinpoint the exact location of a sound. Eighteen or more muscles can tilt, rotate, raise or lower a dog's ear. While the human brain is dominated by a large visual cortex, the dog brain is dominated by an olfactory cortex. The olfactory bulb in dogs is about forty times bigger than in humans, with 125 to 300 million smell-sensitive receptors. Their sense of smell is one hundred thousand to one million times more sensitive than a human's. Their wet nose is essential for determining the direction of the air current containing the smell. Cold receptors in the skin are sensitive to the cooling of the skin by evaporation of the moisture by air currents. The average lifespan of dogs is 10 to 13 years, however, many live much longer. The world's oldest living dog lived 26 years, 9 months. Dogs are omnivores and can adapt to a wide-ranging diet. They are not dependent on meat nor a very high level of protein as was once thought. Dogs will healthily digest a variety of foods, including vegetables and grains. Unlike wolves, dogs have adaptations in genes involved in starch digestion that contribute to an increased ability to thrive on a starch-rich diet. Companion dog populations grew significantly after World War II as suburbanization increased. In the 1950s and 1960s, dogs were kept outside more often than they are today. From the 1980s, there have been changes in the role of the companion dog, such as the increased role of dogs in the emotional support of their human guardians. The broadening of the concept of the family, and a better understanding of dog intelligence and emotions, have led to dogs actively shaping the way a family and home are experienced. Studies show dogs help to mediate family member interactions. Most dogs also have set tasks or routines undertaken as family members. Increasingly, humans are engaging in activities centered on the needs and interests of their dogs. An estimated 1 million dogs in the United States have been named the primary beneficiary in their guardian's will. Dogs have the same response to voices and use the same parts of the brain as humans to do so. This gives dogs the ability to recognize emotional human sounds. They have over 100 known facial expressions, many of them made with their ears. They also communicate with a variety of vocal sounds. One of the primary functions of a dog's tail is to communicate their emotional state. It is estimated there are 77.5 million people with dogs in the United States. Nearly 40% of American households have at least one dog. 67% have just one dog, 25% two dogs and nearly 9% more than two dogs. Every year, between 6 and 8 million dogs and cats enter US animal shelters. Approximately 3 to 4 million of those dogs and cats are euthanized yearly in the United States. However, the percentage of dogs in animal shelters that are adopted has increased since the mid-1990s, from around 25% to 40% or more.